I have been using and testing my new X-Pro2 for the past two weeks and shortly will be preparing a full hands-on review of it. In the meantime it is quickly becoming part of my normal photography workflow, replacing my X-T1, which has been in the shop for a much needed over-haul during this time. Here are a couple of photos I took, one after sunset and the other at dawn, with the X-Pro2 over the past two days. 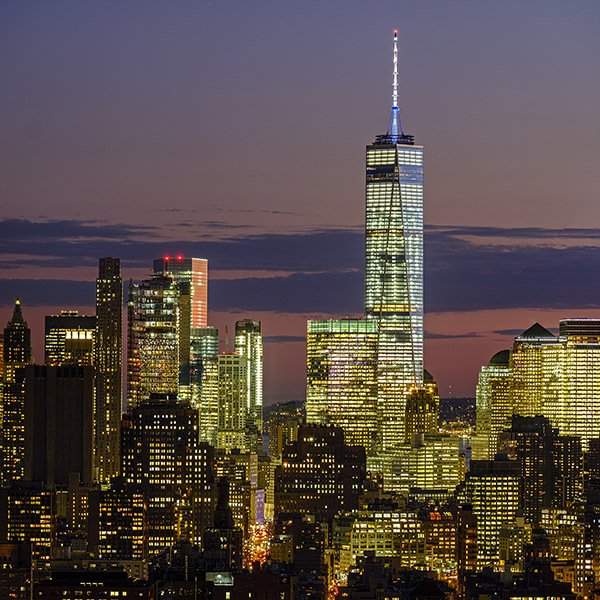 This image is a composite of two horizontal photos taken of lower Manhattan using the Fuji 100-400mm zoom just after sunset when the light would be dark enough to maximize the lights in the building, but still light enough to maintain some sky detail. The new 24mp sensor in the X-Pro2 is showing its stuff in composites like this. The results are much higher resolution than I was able to achieve on my X-T1. And the IQ performance of the Fuji 100-400mm zoom continues to prove itself to be simply fantastic. 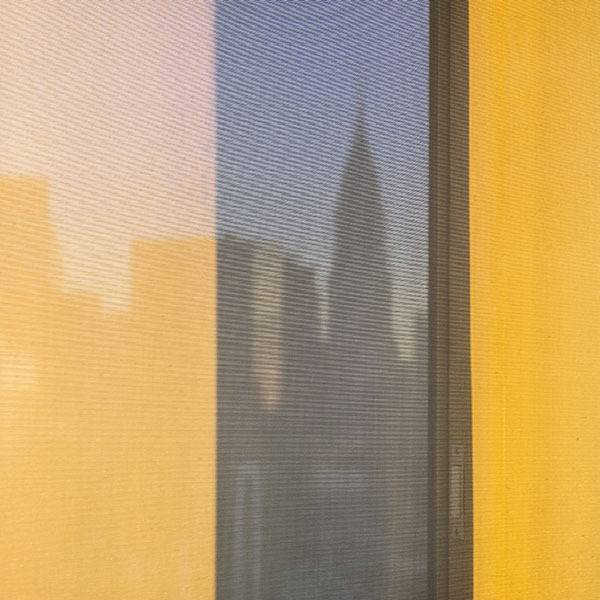 This silhouette of the Chrysler Building was taken through a window curtain at dawn. The yellow glow on the curtain is from the direct sunlight hitting it. The photo was taken with the Fuji 16-55mm f/2.8 lens set to 55mm and f/5.6.